Limited Edition Picture Disc Vinyl! 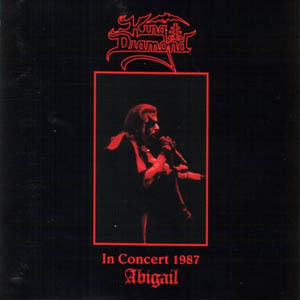 King Diamond began his musical career in 1973 and scored in 1979 with the band Black Rose first successes. In 1981, he joined the band Brats, in which also played his later comrades Hank Sherman and Michael Denner. They eventually formed the legendary Mercyful Fate in 1983 and since then he has been an important, not to be forgotten, component of the underground heavy metal scene. He has been extremely successful and yet he has always been accepted in the scene. 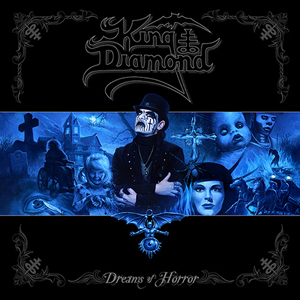 His trademarks such as dramatic lyrics, theatricality and his dazzling personality, combined with the powerful and melancholic music, were undisputed when he started his solo career under his pseudonym King Diamond in 1986 alongside the still existing Mercyful Fate. King contributed new ideas and never before heard style elements to heavy metal like no other. With his predilection for horror movies, which he let feed into his music, he then went new ways and brought fresh air into the scene. All this led King to the forefront of heavy metal. He decisively influenced bands like Metallica, Megadeth and Slayer.